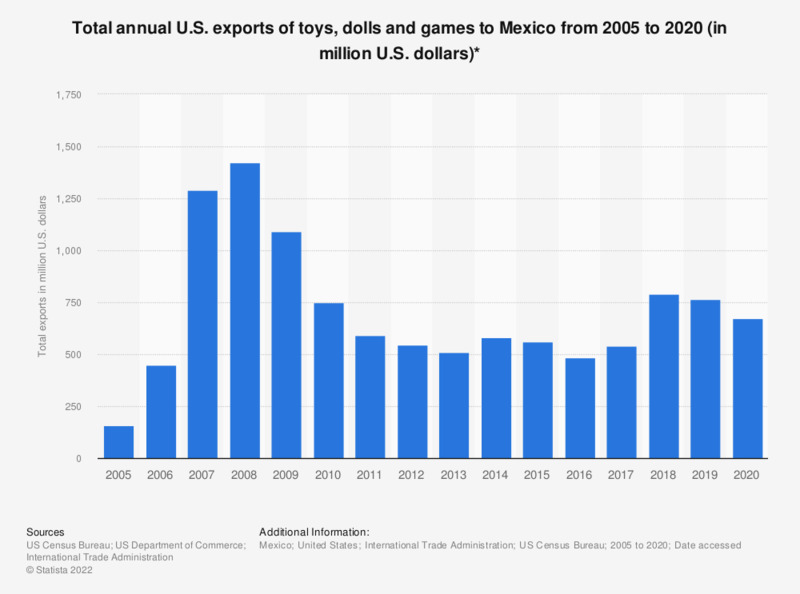 This timeline displays the total annual customs value of U.S. toy, dolls and games exports to Mexico from 2005 to 2017. In 2016, merchandise worth 538.67 million U.S. dollars was exported to Mexico from the U.S.
* The figures represent the value of exports at the U.S. seaport, airport, or border port of exportation, based on the transaction price including inland freight, insurance, and other charges incurred in placing the merchandise alongside the carrier at the U.S. port of export. Statistics on "Toy industry in Canada"
How often do you usually use your fidget spinner?